There’s an interesting verse in the Bible. Proverbs 27:17 tells us that As iron sharpens iron, so one person sharpens another. I’ve often pondered over the meaning of this verse. What does iron sharpening iron mean? Does iron sharpen iron simply by being in the presence of other iron? No, not at all. Iron can’t sharpen iron by being next to each other. The way iron sharpens iron is through conflict. The thought behind Proverbs 27:17 is interesting. Iron can sharpen iron. Iron can only sharpen other iron through conflict. 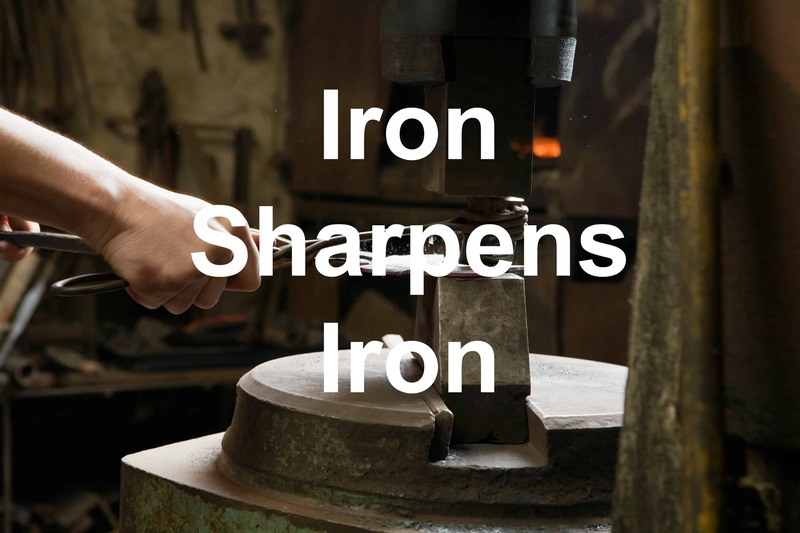 When you hit two pieces of iron together, you can sharpen it. Why then, as Christians, do we strive to avoid conflict? We flee from conflict like it is the plague. Yet, we know that the conflict iron faces when they clash, provides sharpening. What if we begin to change our mindset on conflict? Instead of fleeing from our differences, we run into each other. We clash and struggle and wrestle with the differences we have. Through these struggles, we’re able to sharpen our resolve. We begin to discover what we truly believe. We get to know who we are. Embrace the struggle of conflict. Rub against opposing thoughts with your friends. Sharpen each other. Question: How are you sharpening those around you? I want to hear your thoughts on this in the comment section below.